This Shaker Chest of Drawers features beautiful lines that seem to flow. This Amish six drawer chest of drawers will fit in with Shaker Furniture, Mission furniture or more contemporary furniture. 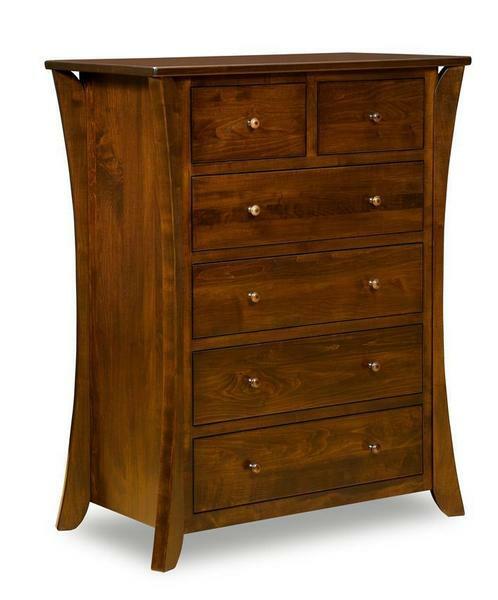 It has flush drawers and is shown in a brown maple wood with a rich tobacco finish. Please call to receive stain or paint samples for this American made chest of drawers.